Veteran of Service Battery 1/83rd Artillery 1966-1967. 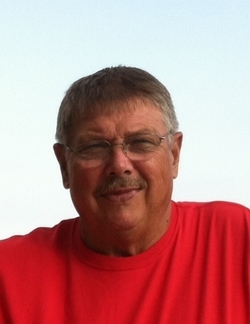 Elmer Dale Wykle, 67 of Hilldale died Tuesday September 30, 2014 at his home. Born November 10, 1946 at Ronceverte, West Virginia, he was the son of the late Roscoe Jackson & Stella Mae Erskine Wykle. Elmer was a 1964 graduate of Talcott High School. He was a United States Army veteran of the Vietnam War. He owned and operated Willowood Service Station for many years until his retirement. He was an active member of the Hinton Elks Lodge, holding various offices in the lodge, and member of Willowood Country Club. He was also a member of the Hinton VFW Post 4500 and the American Legion. Elmer loved golfing, fishing and spending time with his brothers on the farm. He was of the Methodist faith. Besides his parents, he was preceded in death by a brother, Wallace Wykle and a sister-in-law, Donna Dillon Wykle. Survivors include his wife, Debbie Willey Wykle. One son, Kevin Wykle of Alderson. One step-son, Shane Scott of Chattanooga, TN. Two step-daughters, Erin Stennett & husband Pat of Forest Hill and Ginny Riffe of Lerona. Four brothers, Paul Wykle of Flagler Beach, FL, Thomas Wykle & wife Bonnie of Talcott, Ellery Wykle of Talcott and Alfred Wykle & wife Debbie of Hinton. Two sisters, Nellie Mae Massey of Ronceverte and Juanita Wykle of Charlottesville, VA. Two grandchildren Brittany Wykle and Lucas Wykle. Seven step-grandchildren; Christiana Scott, Travis Scott, Lauren Scott, Madison Scott, Tyler Gore, Olivia Tickle and Caiman Riffe. Special sisters-in-law, Barbara Wykle and Shairleen Wykle. Several nieces and nephews also survive. Memorial services will be held at 2:00 p.m. Friday October 3, 2014 at Pivont Funeral Home Chapel in Hinton with Pastor Chris Price officiating. The family will receive friends from 12:00 p.m. until time of services on Friday at the funeral home. In lieu of flowers, memorial contributions may be made to Hospice of Southern West Virginia, 454 Cranberry Drive, Beckley, WV 25801.